Have you been as disturbed as I have been over the troubling news of Robin Williams' suicide? One of my kiddos has had bouts of depression that have been very concerning. I asked my very wise friend, Lucille Zimmerman, a licensed professional counselor and author, to help me (and you) identify some red flags. Normally my blogs only go out once a week UNLESS there are some unusual circumstances. I felt this week fell into that category. If you or your loved one is struggling with depression GET help- Have HOPE. Sienna came to my office three months after her mom died. She wasn’t sure if she needed a counselor since grief is a normal part of life. I immediately had a sense that Sienna was experiencing more than grief. She was showing signs of depression and seemed stuck. We spent a few months talking about her family. It was clear there were several painful pieces of her story that needed to be told and understood. Pieces not about her mom’s death per se, but pieces of her family that included a father that had left when she was young, sibling abandonment, and sibling death that included strange circumstances. Once we worked through these pieces, Sienna began to smile more. She brought in family photos while telling me hopeful stories. She started taking vacations with some of her siblings. She still cried through smiles, and missed her mom tremendously, but her emotions were hopeful and she was moving forward. With the recent death of actor Robin Williams it seems like the only thing people are talking about is depression and suicide. In addition to making us feel and laugh, perhaps Williams’ greatest gift will be how he cracked the door wider for a more open discussion about a topic that has been hushed for too long. Sadness is a normal human emotion. It’s the fleeting thought you have when you drive by your old high school, or think about a friendship that didn’t weather the times. It’s the ache you feel when you watch Toy Story 3 as your son prepares to leave for college. Sadness is an intermittent emotion but it is not the constant emotion even if you feel sad several hours in one day. When you are sad, you can still function and perform your daily activities. Grief is a normal experience, often with intense emotional pain, that commonly follows a significant loss such as the death of a loved one. Grief is not a disorder. It typically does not require treatment provided it does not linger too long. Grief is proof you loved someone. While grief can be extremely painful, there is generally no medical reason to treat it. Sometimes anti-anxiety or sleep medications may be helpful, and if symptoms of grief last longer than two months and diagnostic criteria are met for Major Depressive Disorder, antidepressants may be helpful. There is no right length of time or even a right way to grieve. For parents of children the process may take years. For widows, the average length of time when one might experience anxiety, depression, and deep grief is about a year. The pain doesn’t stop then, but women begin to gain equilibrium and the majority even begins to feel a sense of well-being, self esteem, and life satisfaction. Grief, in its early stages, has some of the characteristics of depression such as sadness, tearfulness, sleep disturbance,decreased socialization, and decreased appetite. The grieving person is able to be consoled. She generally stays connected to people. She continues functioning while rebuilding her life. The grieving person usually feels that life will someday get back to "normal" , and that she will once again feel like her "old self." Suicidal intentions are rarely present, though the bereaved may fantasize about "joining" or "reuniting" with the deceased. Depression is a disorder and does require treatment. When problems such as fatigue, insomnia, and indecisiveness last more than two weeks to several months and when they impair the bereaved person's functioning, depression may be responsible. * Feeling as if a veil or a wall separates him from others. Grief and depression occupy two quite different psychological territories, and have vastly different implications with regard to outcome and treatment. Since grief and depression are distinct conditions, they can occur together, and there is clinical evidence that concurrent depression may delay or impair the resolution of grief. A history of trauma, accumulated losses, and other stressors in someone experiencing grief increases his risk of depression. Risk factors such as a parent's death at an early age, a history of childhood abuse, an eating disorder, and a family or personal history of mood disorders or alcoholism may be contributors. 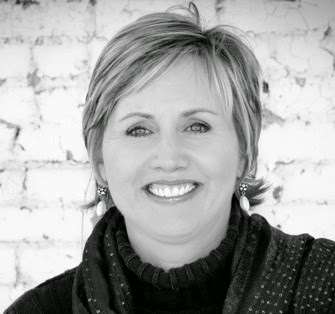 Lucille Zimmerman is a Licensed Professional Counselor with a private practice in Littleton, CO and an affiliate faculty professor at Colorado Christian University. 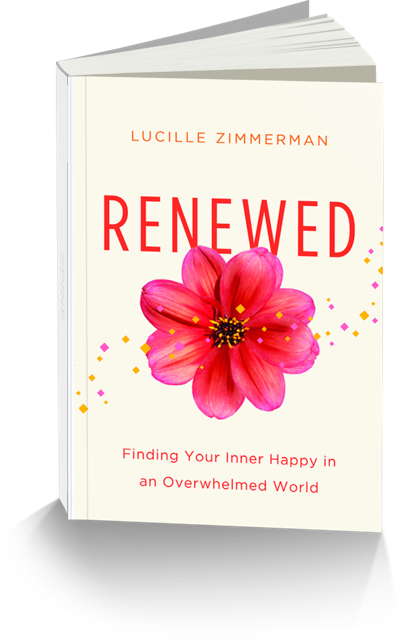 She is also the author of Renewed: Finding Your Inner Happy in an Overwhelmed World. Through practical ideas and relatable anecdotes, reader can better understand their strengths and their passions-and make them want to keep busy or minister to the detriment of themselves. Renewed can help nurture those areas of women's lives to use them better for work, family, and service. It gives readers permission to examine where they spend their energy and time, and learn to set limits and listen to "that inner voice." This is really helpful information about the difference between grief and depression. Thanks for sharing! I think so too. Lucille did a great job explaining this. Thank you Lori and Lucille. I really appreciate the detailed descriptions, especially the difference between the three, grief, complicated grief, and depression.